The first of the four Jr. NBA-WNBA Philippines presented by Alaska Regional Selection Camp concluded with eight young athletes qualifying for the National Training Camp. The two-day camp held at Benguet State University gym on February 20-21, 2016, was participated in by 665 athletes, 10 to 14 years old, who have the passion and love for basketball. At the end of Day 1, 31 girls and 45 boys advanced to a more strict and rigid selection process. Jr. NBA-WNBA Philippines presented by Alaska Regional Selection Camp – Baguio participants held at Benguet State University, La Trinidad. Day 2 of the camp saw the young athletes doing more complex basketball drills with the Jr. NBA-WNBA Philippines coaches headed by Coach John Ramirez. The chilly temperature in La Trinidad, Baguio, and muscle cramps that beset some players did not deter the young ballers to give their best in every skills station and during the scrimmages. Basketball scrimmages became the testing grounds for the young ballers to prove themselves that they deserve a slot for the National Training Camp. The games were intense as the players showcased their innate skills and abilities in ball handling. The competition was stiff. At times, one gets driven to the ground. But there’s always an extended hand that helps him get up. Such were the games to reap the cream of the crop. Girls aged 1-14 years old go through a strict basketball training during the Jr. NBA-WNBA Philippines presented by Alaska Regional Selection Camp held at Benguet State University on February 20-21, 2016. Each skills station focuses on improving the basketball handling skills of the participants at the Jr. NBA-WNBA Philippines presented by Alaska Regional Selection Camp held at Benguet State University on February 20-21, 2016. The selection process has always been a tough job for the coaches as there could be more high potential athletes and only a few can advance to the next phase of the program. The only two criteria that the players need to satisfy are their ball handling skills and the STAR values. The Jr. NBA-WNBA Philippines presented by Alaska RSC Baguio NTC qualifiers with coaches. After two days of on and off-court hard work, the Jr. NBA-WNBA Philippines presented by Alaska coaches have made their final decision. A total of eight campers have qualified for the National Training Camp. The top two girls who qualified for the National Training Camp are Rae Jemima Caba (St. Louis University High School) and Treena Areola (Berkeley School). The top six boys advancing to the National Training Camp are Jan Zyrus de Ayre (Berkeley School), Ric Ozner Joshua Gatuz (Cherished Moment School), Wrench Mason Roquid (University of Perpetual Help System – Laguna), Vincent Madiwo (University of the Cordilleras), Emmanuel Macaranas (Bayambang National High School), and Sergz Quitaleg (St. Louis University High School). Determination and hard work are strong values that Alaska believe in perfectly compliment the Jr. NBA-WNBA STAR values. These are the values that Jan Zyrus de Ayre stood by to qualify for the National Training Camp. Jazy, who plays varsity for Berkeley School in Baguio, made it to the National Training Camp in 2015, but did not make the final cut. For any player who did his best, not being chosen for the All Star Team can be totally frustrating. In Jazy’s case, he considered it as a motivation to train more and work harder to improve his shooting and left-hand dibbling skills. Jan Zyrus de Ayre makes a come back in this year’s Jr. NBA-WNBA Philippines presented by Alaska Regional Selection Camp – Baguio held at Benguet State University on February 20-21, 2016. Catch him play his best at the National Training Camp! “I told myself that I will join again next year because there’s really an opportunity. I focused more on my basketball practices,” Jazy shared. “During my basketball training and on my free time, I practice my shooting and left-hand dribbling. I train three times a week, and each training day lasts for two and a half hours.” This was proven when he was awarded as Best in Lay Up and Best in Hotshot. During the scrimmage, Jazy was plagued with unfortunate muscle cramps. His determination did not deter him to do what he’s good at. He kept his spirits high and never lost his focus on the game. It was a weekend of triumph for the comebacking baller when his name was called first from among the roster of 45 boys in the camp. Jazy will definitely be one of the guys to be reckon with at the National Training Camp. Jr. NBA-WNBA Philippines is presented by Alaska. The National Training Camp will be held on April 22-24 in Don Bosco Technical Institute and SM MOA Music Hall. For more updates, log on to www.jrnba.asia/philippines. In line with its thrust this year to make it fresh by bringing the program to more schools and communities nationwide, Jr. NBA/Jr. WNBA presented by Alaska conducted a series of free open clinics last weekend in different parts of Metro Manila. Two sessions of clinics were conducted in all venues — one at 9-11 a.m. and another from 1-4 p.m.
Jeffrey Cariaso, the basketball Director for the Alaska Power Camp and Jr. NBA and Jr. WNBA coaches led in helping the next generation of young and aspiring basketball players realize their dreams. Other coaches who conducted the learning sessions include PBA Legends Rodney Santos, Eric de la Cuesta and Topex Robinson, and Perlas Pilipinas national players Melissa Jacob, Ish Tiu, MJ Galicia and Justine Formata. Alaska continues their partnership with Jr. NBA and Jr. WNBA this year to nurture young boys and girls become better individuals and encourage them to embrace a healthy lifestyle not just by drinking milk but also by leading an active lifestyle through sports. Become an inspiring athlete, too and join Alaska’s sports programs now! NUTRITION. ACTION. CHAMPION. For general information about Jr. NBA and Jr. WNBA Philippines, please visit www.jrnba.asia/philippines; Alaska Basketball Power Camp visit https://www.facebook.com/AlaskaBasketballPowerCamp/. 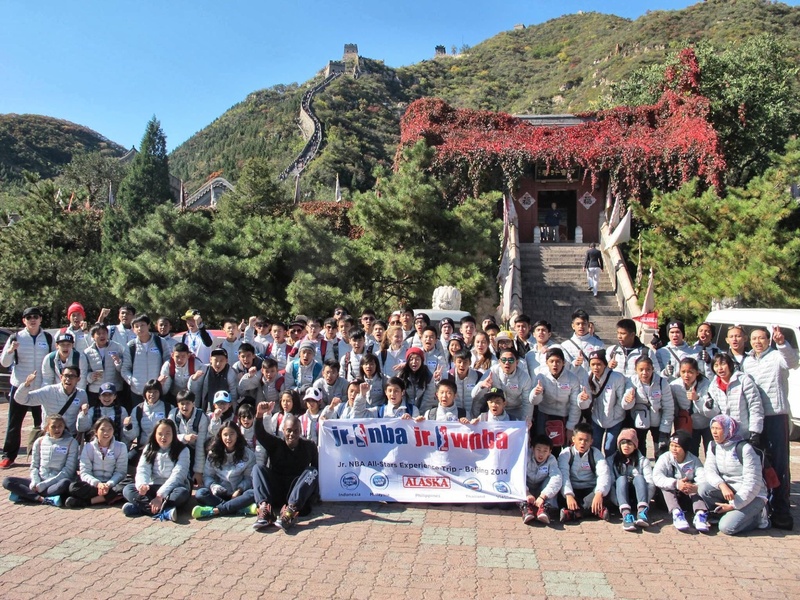 Nine boys and five girls, and two Coaches of the Year comprising the Jr. NBA-WNBAPhilippine All Stars travelled for an all-expense paid NBA Experience in Beijing. The Jr. NBA-WNBA champions, who were drafted from the National Training Camp in April this year, joined the other All Star teams from Vietnam, Thailand, Malaysia and Indonesia. During the send-off party at the NBA Café Manila, the young champions were briefed with the dos and don’ts of the tour, and reminding them to brace the Jr. NBA STAR values at all times. Each also received a $100 pocket money. The four day trip included visits to the famous tourist destinations in the heart of China’s capital city like the Olympic Park Stadium, Beijing Hutongs, The Great Wall, watched the world-class Chinese Acrobat show and tried their hands on the face mask painting at the DIY Traditional Chinese Crafts centre. On top of all the daily tours, two of the major highlights of the tour are the visit to the NBA Yao School, where the Philippine All Stars played friendly games with the students of the school, and the opportunity to train with the Yao School coaches. The visit to the NBA Yao School wouldn’t be complete without meeting the NBA legend Yao Ming, along with two other NBA stars Peja Stojakovic and Vlade Divac. The NBA Experience is more than just a tour and basketball. It’s about building friendship and fostering camaraderie among the Jr. NBA-WNBA South East Asian All Stars through sports. They get to hang out with other champions during meals, bus rides and friendly games, as they are being mixed with other All Star teams. Despite their different cultural orientation, they all got along well and had fun at the same time. Basketball, like any other sports, transcends all languages and cultures. On October 15, the young champions had the chance to watch Brooklyn Nets and Sacramento Kings play during the NBA Global Games at the MasterCard Centre in the heart of Beijing. Excitement could be traced in their faces as they games rolled. While the game was going on, Jr. NBA-WNBA All Stars were acknowledged, asked to stand up and wave to thousands of spectators in the MasterCard Centre. It was a one-of-a-kind moment to the young hoopsters. The NBA Experience taught the young champions to look at basketball and to see life in a different perspective. While everyone young boy or girl can play basketball, not everyone gets the chance to play as a school varsity. Moreso, to train with Jr. NBA coaches, travel to a different city outside the Philippines and meet other young basketball enthusiasts. They’re the hardworking chosen few and the privileged. 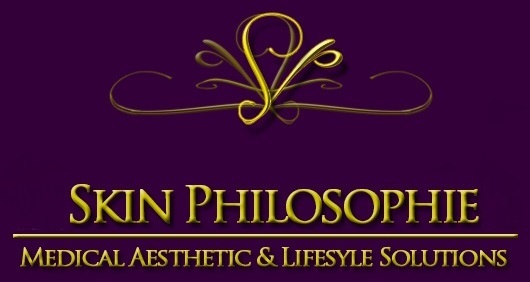 The ones who truly deserve a fine dining treatment and a five-star hotel accommodation. However, on top of these privileges, they have a resposinbility to fulfill, and that is to encourage more children their age to embrace a healthy and active lifestyle by engaging in sports, and inspire them to be champions life. Jr. NBA-WNBA Philippines is presented by Alaska. To know more about the program, please visit http://www.jrnba.asia/philippines. For more Alaska Sports program, please visit http://www.alaskamilk.com. Stay updated. Follow @AlaskaSportsHub on Twitter. Cebu, Philippines- August 1 was a memorable day for our Alaska IronKids as they participate in the Alaska IronKids support Gatas for Breakfast, a practice run for a good cause. It was an enriching experience for the IronKids participants as they not only practiced running with the Ironman Pros like Pete Jacobs, Caroline Steffen, Belinda Granger, and Alaska Tri-Aspire Team Coach Matt O’Halloran, Banjo Norte and Jenny Guerrero, they also shared a nutritious breakfast with milk to over 1,500 young students of Mactan Elementary School. This effort to foster a healthy consciousness among individuals and families—through the combination of exercise and proper nutrition—is Alaska’s way in helping fight against the increasing number of overweight and undernourished children in the country. Having a healthy and active lifestyle does not only involve physical activity but also proper nutrition, living up to Alaska’s key meesage, Nutrition.Action.Champion. 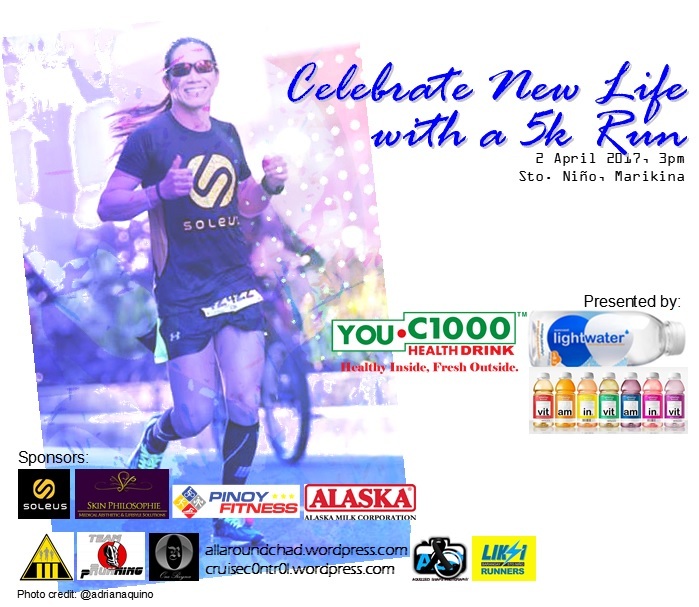 For more information, check out the Alaska IronKids website, www.ironkidsphil.com. For live Twitter updates, follow @ALASKAsportshub or search the ff. hashtag: #Alaskaironkids #GatasforBreakfast #MilkSelfie.